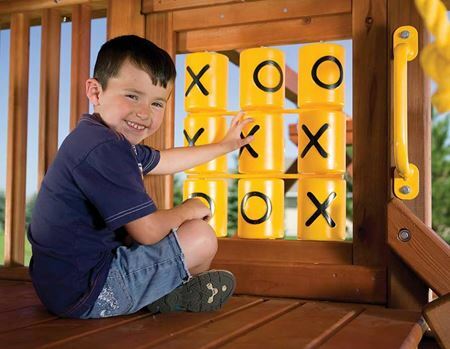 ACE Game Room Gallery is proudly Northeast Indiana's largest dealer of Rainbow Play System playsets. 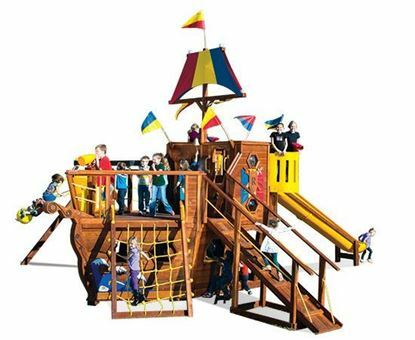 Established in 1985, Rainbow Play Systems is America's most trusted playset manufacturer. 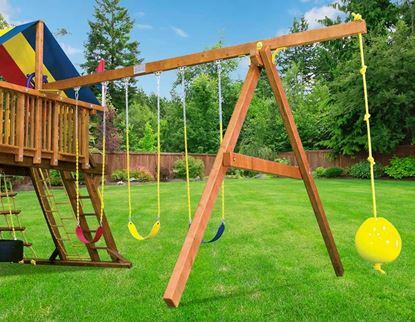 Rainbow Play Systems has over 30 years of experience in building dream swing sets and with more than 100 playset combinations to pick from, it’s easy to see why they’re America's most trusted brand name. 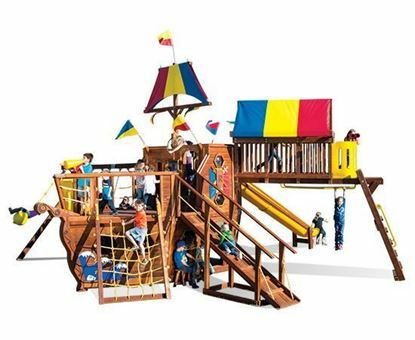 Rainbow playsets are made from 100% pure cedar and are 100% modular and expandable as well. 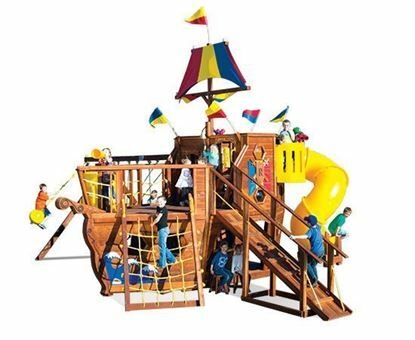 Rainbow offers an exclusive lifetime warranty to every playset sold. 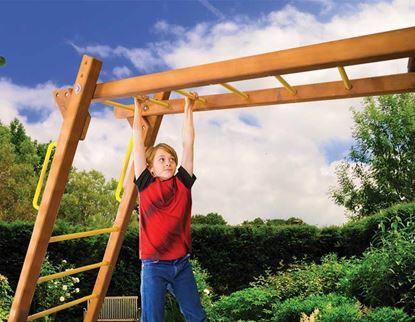 We supply Fort Wayne's safest, most durable, and highest quality swing sets available on the market. 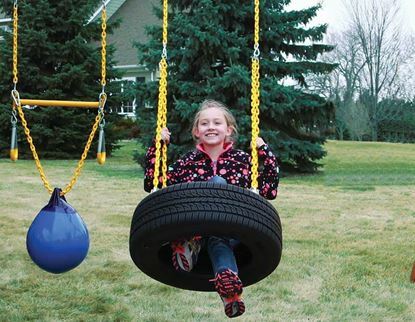 Please call us at the store for any questions about pricing (260) 432-3443.